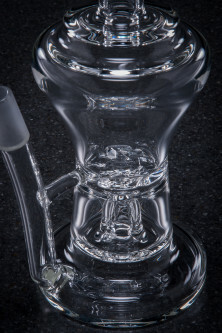 The Impact bubbler is in many ways a culmination of the different concepts SYN focuses on. This is a natural perc entry in to the system, which is harmonic. The bubbles transition to a fixed dome, which regulates upward splash into the turbine. 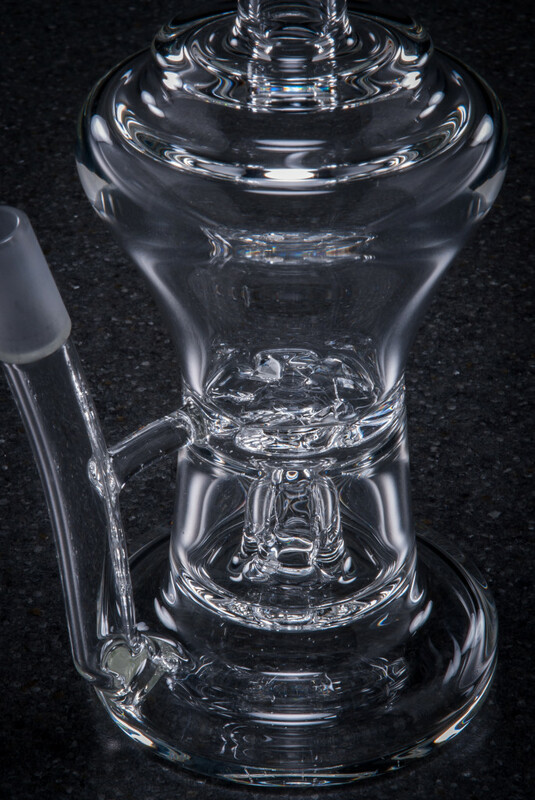 The turbine harnesses the upward perc action from the fixed dome, and spins with the perfect amount of liquid, keeping water from creeping up the bent mouthpiece. Seriously regulates concentrate harshness.